Do you have a Dairy Queen in your area? This coming Wednesday, March 20 is DQ's Free Cone Day. Not all DQ's participate, and not valid at mall locations. 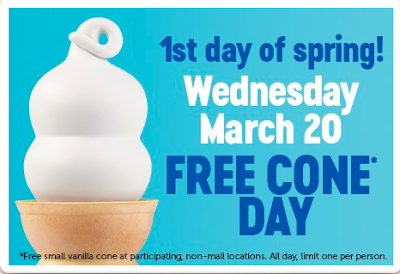 Phone your local Dairy Queen to see if they are participating in this offer on Wednesday, the 20th.